It's been a while since my last empties post and the bag I store my finished products in is starting to spill over. So, I thought it was about time I did another. Personally, I love both reading and putting together this type of post, as you can really get a better idea of what a product is like when you've completely used it up. 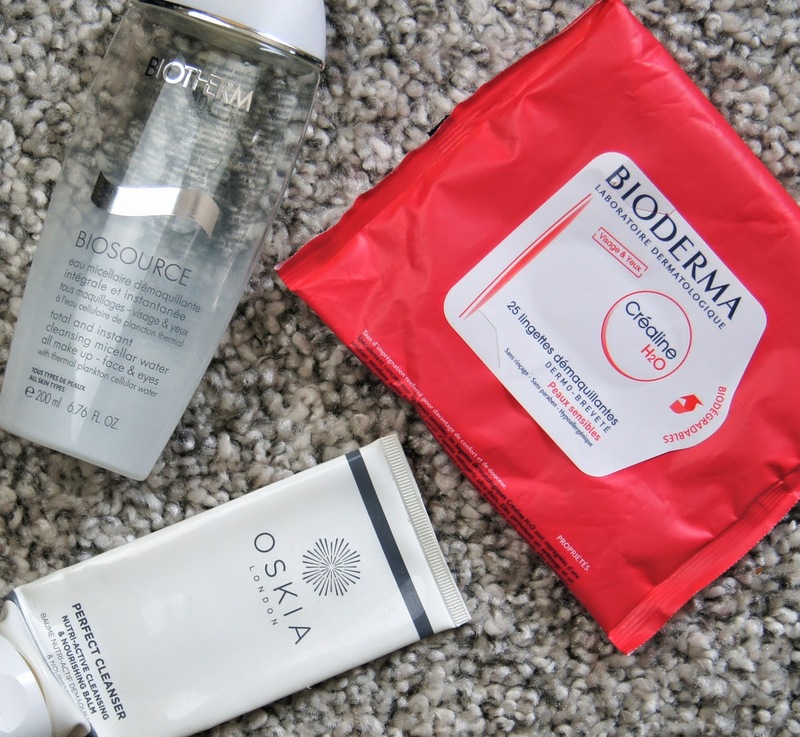 I hate wipes, but I love Bioderma. When I spotted the Bioderma Crealine H20 Wipes in a Parisian pharmacy, I thought they'd make removing my makeup before cleansing a whole lot easier. Usually, I avoid wipes like the plague, as most strip my skin and leave it dry and irritated. But, as I already used Bioderma and adored its water-like formula, I thought I'd give them a whirl. One wipe sufficiently rid my face of every scrap of makeup and, after use, my skin felt refreshed and clean without being red and sore. The only negative, is that a bottle of Bioderma lasts months and months, whereas this packet only contained 25 wipes and was finished in a fraction of the time. I'd definitely repurchase them for traveling with, though, in case I'm ever short on space in my case and don't want to lug a chunky bottle around! Another makeup remover that I've just polished off, is the Biotherm Source Therapie Total & Instant Cleansing Micellare Water. I actually picked this up in duty-free before going on holiday, so it was a rushed quick-fix purchase rather than a premeditated one. Like most micellare waters, it's gentle on the skin, but it does have a fragrance to it. Although it's a high-end product, I didn't feel as though it had any additional skincare benefits than cheaper alternatives, which was disappointing. Whilst it did a good job at removing the majority of my makeup, my mascara always put up a fight and often won. As Bioderma dissolves all makeup in an instant and is more affordable, it just doesn't make sense to repurchase Biotherm's version. I'd actually been hoarding about five empty tubes of my all-time favourite Oskia Perfect Cleanser, which just shows how much I'm obsessed with it. Thick and rich, this is a luxurious treat that nourishes the skin whilst giving it a thorough deep cleanse. I much prefer it to the likes of Emma Hardie or even Sarah Chapman's versions, which is a skincare brand I adore! Perfect for drier skin-types, it drenches the complexion in moisture and is full of active ingredients that really help to treat skin issues. Honestly, this cleanser has changed my life and, after recommending it to my mum, she's hooked on it too. I'd put a pretty hefty bet on myself still using this cleanser in twenty years time! To spot clean my eye makeup brushes, I like to use MAC's Brush Cleanser. The formula is so effective at cleaning and disinfecting my brushes, that it takes seconds to do the job, preventing it from turning into a beauty chore. If I'm in a rush and I'm caught short with no clean brushes, I can use a drop of this and my brush is good to go again, without having to wait hours for it to dry. Over time, many similar products can be too harsh and ruin your brushes, but MAC's formula conditions the hairs so they don't dry out and become brittle. One capful is enough to clean my whole collection of eye brushes, so a bottle seems to last forever, too. I always keep an extra bottle in my beauty drawers, so I never run out and there's two new ones in there already! As I have super long hair, regular treatments are a must in my routine. I was so sad when I squeezed out my last drop of the Joico K-Pak Intense Hydrator Treatment, as I've really loved using it. Rather than having a thick, rich consistency, like most deep treatments, it feels more like a regular conditioner. It provides my locks with enough hydration for it to feel soft, smooth and sleek, but it isn't so heavy that it feels weighed down or greasy. But, I did get through the 250ml tube much quicker than I usually finish a pot of a thicker version, as it was quite easy to get carried away and apply more than necessary. As it only takes 3-5 minutes to work, I can use it during my morning shower, making it fuss-free and a great time-saver. It has a lovely warm and fruity fragrance to it which remains in the hair all day, too. Next time I make a cheeky FeelUnique order, then I'll definitely pop this into my basket again. I've tried an abundance of hair oils and serums in my time, but I've always come back to the Moroccan Oil Treatment. 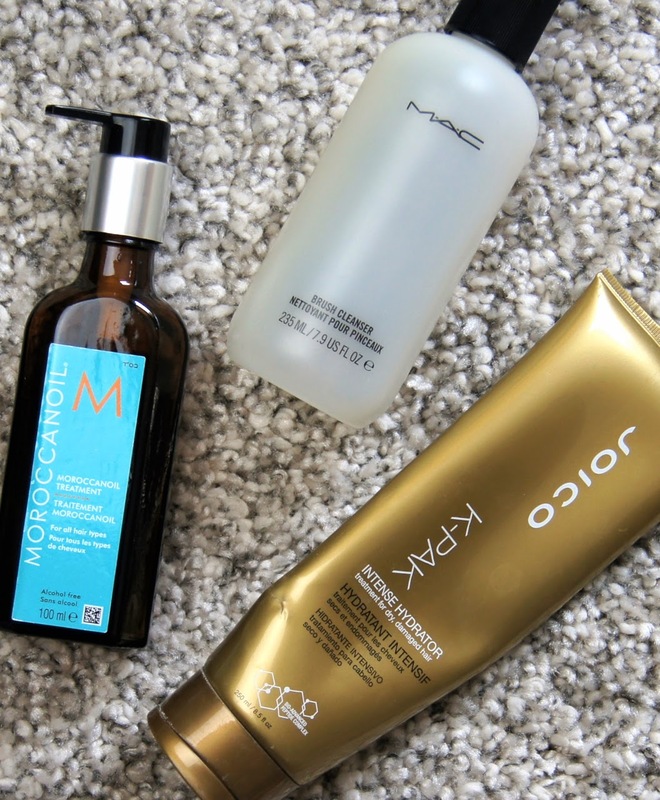 Somehow, the original Moroccan Oil formula just leaves my hair looking so much sleeker and more healthy than any others, whether they're cheaper or even more expensive. Instantly absorbed, it helps my comb glide through my hair without creating tangles and the time it takes to blow-dry is halved. My hair is left frizz-free and with a mirror shine that gets me so many compliments. A little goes a long way with this one and two pumps of product is the perfect amount for my barnet. So, despite it being expensive initially, a bottle lasts so long that it works out as roughly the same cost as cheaper versions. For me, this is a total haircare hero and I'll continually have a bottle in my stocks! Ever since having a hideous, allergic reaction to an eyebrow dye kit a year or so ago, my peepers have been a bit stroppy when it comes to eye cream. Many that I've loved for ages, including some hypo-allergenic gel formulas, now cause the delicate skin surrounding my eyes to burn. All except for the Kiehl's Creamy Eye Treatment with Avocado. A thick, rich cream, it immediately soothes and is amazing at keeping the skin moisturised. Although it initially feels quite heavy, it melts into the skin on contact and transforms into more of a light milk. Any makeup I apply over the top isn't affected and the formula is specifically designed not to migrate into the eyes. It's not a fancy-pants cream full of special anti-aging ingredients, but it's a great one for anyone who is mostly concerned with hydration, rather than tackling fine lines and wrinkles. I've already repurchased this in the largest size available! It's difficult to find the perfect powder for dry skin; most are either too chalky, make the skin look dull and flat or cling to rough patches and exaggerate them. 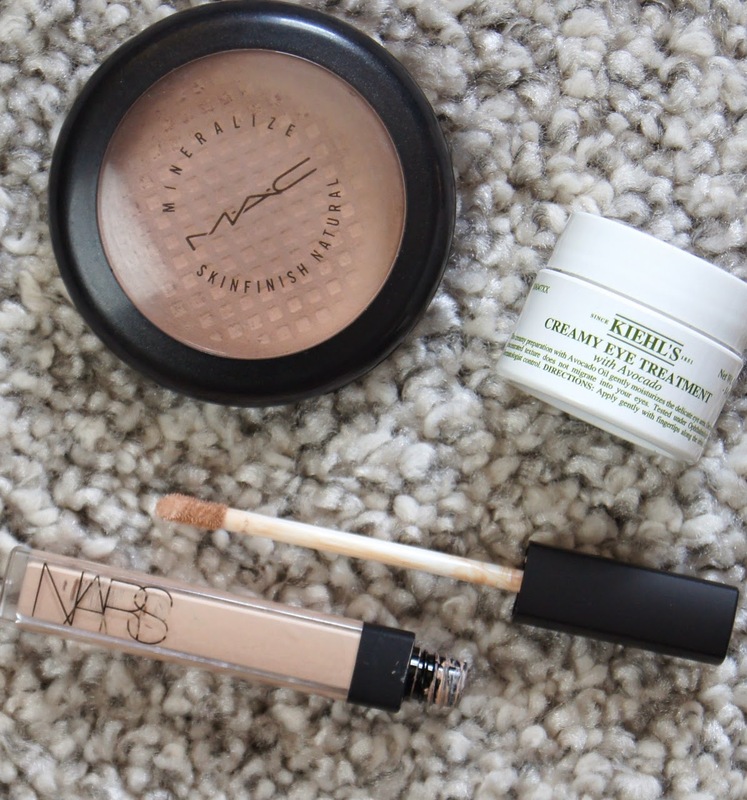 MAC's Mineralize Skinfinish Natural is unlike any other powder I've tried. Whilst it tones down any unflattering shine and sets makeup in place, it gives a natural, luminous result. Adding a sheer veil of extra coverage, it gives an airbrushed finish when used on top of any foundation or concealer and softly blurs out the complexion, when used alone. For everyday use, it's great. But, the mineral powder does cause flashback in photographs, so it's best to avoid using it when you plan on having flash photographs taken. I like to keep a compact both in my bag and in my makeup collection, so I already had a precious back-up ready and waiting to use when this one finally ran out! Nars' Radiant Creamy Concealer is still my number one concealer of choice. Diminishing dark circles and camouflaging imperfections, it's a great multi-tasker. As you'd expect, it has a thick, creamy texture that blends into the skin so easily, either with a brush or fingers. Despite providing a generous amount of coverage, it never leaves my skin looking dry or caked in makeup, like some high-coverage concealers can do. Although there's no obvious shimmer within the formula, it imparts such a healthy, radiant glow onto the skin. It may be pricey, but it's totally worth it. As soon as I first used this concealer, I fell head over heels and our relationship is still going from strength to strength! Which products have you finished off recently? Ahh I have been looking for new brush cleansers! This mac one sounds fab! 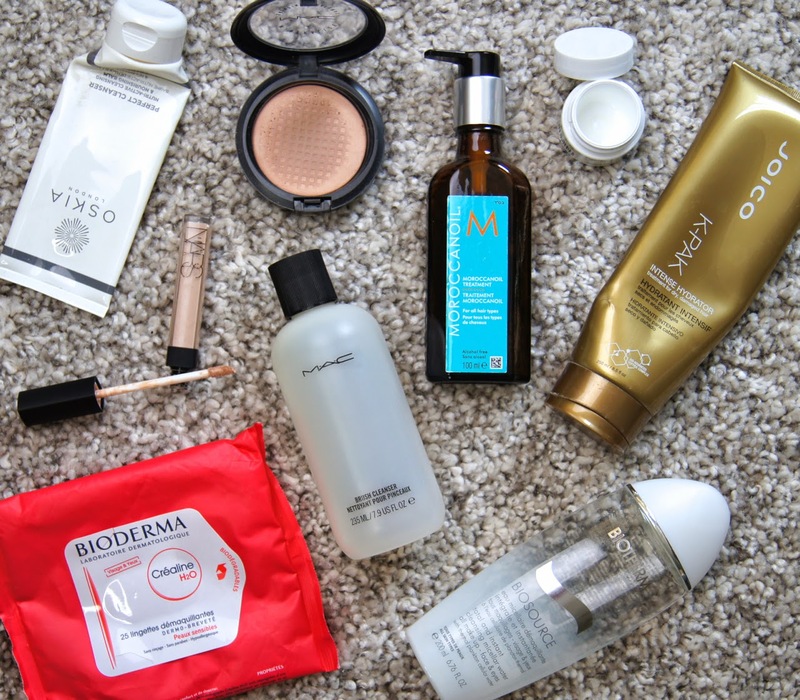 I love empties post, for some reason I really enjoy looking at what people have used up! I recently finished the Paul Mitchell Instant Moisture Shampoo and Conditioner and I have already repurchased them, I can't use any other hair care now!